James Diamond, Natural England Director of Operations, gives a further update on wild bird licensing, covering red kites, buzzards and cormorants. When I published my last post on wild bird licensing back in February, I promised further updates on our work. My last post focused on questions that had been asked in the media and social media about specific examples of nest removal and destruction. I plan to use this blog post to explain a bit more detail behind some licensing decisions which involve lethal control (killing), by for example shooting adult birds. Once again I will start with a reminder of how we approach these licence applications. All wild birds in England are fully protected in law by the Wildlife and Countryside Act 1981 (as amended). Whilst the Act offers all species general protection, it also provides exemptions for licences to be issued by Natural England on behalf of the government for a range of purposes. I will now turn to some of the questions that have been raised since my last blog. Why have Natural England licensed the killing of the rare red kite? Natural England and its predecessor bodies were at the forefront of bringing the red kite back to England. We are hugely proud of that. A current colleague of mine, who personally collected the first reintroduced birds from Spain in the early 1990’s, always looks fondly out of the train window as we pass red kites on a journey to London from the south west. As the population has grown, some kites have taken to feeding and nesting on and around busy airports and airfields. When they do that, these large birds create a risk of air strike as planes land and depart. Striking a large bird can seriously damage a plane and even cause a catastrophic crash. Airports and airfields routinely deploy lots of other measures to reduce the risk of bird strike, including scaring and managing the airport environment to reduce the risk of birds feeding or flocking. However those measures alone are not always enough. Since 2015 we have issued 12 licences to kill red kites on or near airports and airfields. Each of these licences has permitted between one and four kites to be killed, with the exception of a single licence for up to ten birds. One licence has been issued to destroy a red kite nest. All of these licences have been issued for the purpose of protecting air safety. 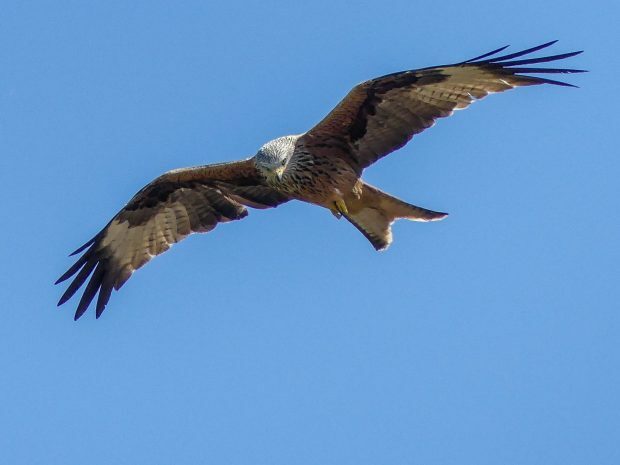 No other licences to kill red kites have been issued. Why do you issue licences to kill buzzards to protect non-native pheasants? We issue licences every year to kill buzzards. Almost all of these are issued to protect air safety, in exactly the same circumstances as described for red kites above. We have issued just under 70 such licences since 2014. If you have used an English airport it is very likely that action will have been taken to kill birds under a licence from Natural England to look after your safety and that of your fellow fliers. Following a successful Judicial Review challenge to our approach, we have issued nine licences to kill buzzards to prevent predation of young pheasants (which are classed as livestock)- four in 2016 and 2017 and a single licence in 2018. All of these applications were very carefully assessed by our expert staff against the five tests described above. We published more on these licences in 2016. 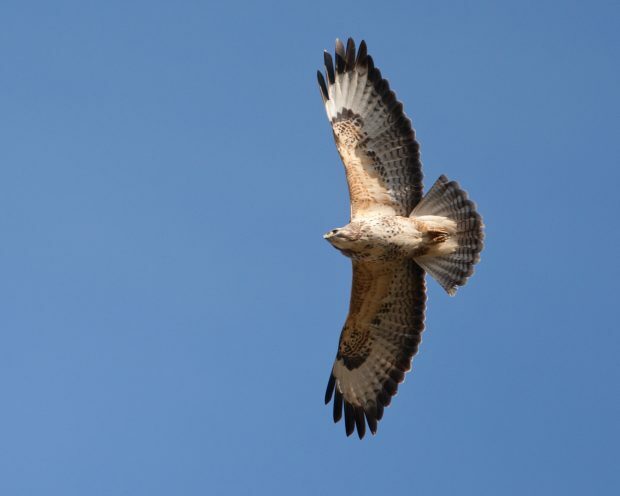 The nine licences together permitted a maximum of 60 buzzards to be killed. The most recent population estimate from the British Trust for Ornithology is 67,000 pairs. Can you explain why so many cormorants are licensed to be killed? Since 2014 we have issued over 1,500 licences to kill cormorants to protect fisheries in England. Many of these are licences to cover the same sites in subsequent years and are issued to allow shooting to reinforce other scaring measures. These are not licences to permit a cull down to a certain population level. The largest number permitted to be killed was 58, but most licences are for under ten birds. Our staff carefully consider the evidence presented for each application against the five tests. We also need to fully consider any potential scaring impact on other birds, as some of these sites are also nationally or internationally important for their wintering waterfowl. All of these factors are fully assessed before any licence is issued. Do please feel free to add a comment or question below. We will publish further blogs and your comments and questions can help inform the content. We will not publish comments that are abusive or threatening. You should not be issuing licenses to kill Red Kites, they are beautiful creatures & are not a threat to aircraft as they hardly ever flock. They are protected under the law. My son has been a commercial pilot for over 20 years & has flown from several British airports but himself & his colleagues have never even heard of Red Kites being a problem. I suggest that Natural England receive more money for Licenses for killing these beautiful birds, you need to stop it now, this practice is barbaric. Hello Eileen, thanks for taking time to share your views having read James's blog. We'd like to make it clear that Natural England have not, do not, and will not charge for this type of license so we don't make any money issuing licenses. Really is there no charge to the applicant for the licence? That's correct Andy, not for this type of license. Birds-of-prey (BoP) like the red kite and buzzard (and many other species) can be a serious threat to aircraft due to their habit of soaring in and around airfield approach and departure lanes. Airfields provide good foraging habitat for BoP - lots of open grassland with rough patches here and there for small mammals - and airfield structures like hangars, lighting and water towers etc are often used as BoP nesting sites - as are hedgerow trees, woods and forests in surrounding rural landscapes. So BoP are attracted to airfields and do not need to flock to cause a hazard to flight. Birds and jet-powered aircraft do not mix. Ingestion of birds into jet engines can cause catastrophic damage, fire and crashes. The recent Hollywood movie 'Sully' is a dramatised account of such an actual incident to a twin-engined jet aircraft. The RAF lost a Nimrod 4-engined jet aircraft at RAF Kinloss in the late 1970s due to a multiple birdstrike. Both pilots were killed. Several other military aircraft, including helicopters have been damaged or lost since, due to birdstrikes, including a Sea King helicopter during the Falklands War with 22 servicemen killed as a result. Red kites are particularly numerous around RAF Benson in Oxfordshire, one of the RAF's major helicopter bases. I suffered several birdstrikes during the course of my 36 year RAF career, and lost an engine following a strike with a kestrel during one occasion. Fortunately the aircraft I was flying in had 2 engines, unlike its many single-engined counterparts. Birds-of-prey (BoP) like the red kite and buzzard (and many other non-BoP species) can be a serious threat to aircraft due to their habit of soaring in and around airfield approach and departure lanes. Airfields provide good foraging habitat for BoP - lots of open grassland with rough patches here and there for small mammals - and airfield structures like hangars, lighting and water towers etc are often used as BoP perching and nesting sites - as are hedgerow trees, woods and forests in surrounding rural landscapes. So BoP are often attracted to airfields. Birds and jet-powered aircraft do not mix. Ingestion of birds into jet engines can cause catastrophic damage, fire and crashes. For example, the RAF lost a Nimrod 4-engined jet aircraft at RAF Kinloss in the late 1970s due to a multiple birdstrike. Both pilots were killed. The recent Hollywood movie 'Sully' is a dramatised account of an actual incident to a twin-engined passenger jet aircraft that lost both engines due to a multiple birdstrike, and had to ditch (crash-land on water) in New York’s Hudson River in 2009, mercifully without loss of life. Islamist terrorist attacks in New York on 9-11 have shown the catastrophic damage and multiple fatalities crashing airliners can cause in a city. Several other military aircraft, including helicopters, have been damaged or lost due to birdstrikes, including a Sea King helicopter during the Falklands War with 22 servicemen killed as a result. More recently, in 2014, an American military helicopter crashed in Norfolk after a multiple birdstrike killing all 4 crewmembers. Red kites are particularly numerous around RAF Benson in Oxfordshire, one of the RAF's major helicopter bases, close to the first red kite English reintroduction programme release site. I suffered several birdstrikes during the course of my 36 year-long RAF career, and lost an engine following a birdstrike with a kestrel on one occasion. Fortunately the aircraft I was flying in had 2 engines, unlike its single-engined counterparts. BoP do not need to flock to cause a very serious hazard to flight. I don't think it is right to issue licences to kill buzzards because they threaten pheasant numbers. Pheasants are introduced in hundreds of thousands of numbers in the UK as a game species and cause a lot of damage to flora and fauna because of their proliferation. Buzzards threaten a lot more than just reared pheasants. All other free range poultry is at risk and in the natural world buzzards are mobbing peregrine falcons and stealing their prey, forcing them to hunt again - when the same thing happens again - putting both adult birds and their young at risk of starvation. Buzzards, like badgers, also take the eggs and chicks of ground nesting birds, putting our at-risk populations of peewits, skylarks and curlews in even more danger. Peewits (Green Plover) have vanished entirely from the wet field by my house, where there used to be 150 nesting pairs. On one field near here we counted 28 buzzards on one occasion. Conservation is fine because it involves management and helps Nature's balance. Preservation is not, because it can allow one species to become dominant at the expense of others. I'm afraid there are far too many people in our World for wildlife to have any chance of finding its own natural balance; we have to help. I believe that not enough licences are issued and predatory bird numbers are out of control. Cormorants should be on the general licence, they have decimated fish stocks in rivers and freshwater lakes as the marine fish stock has dwindled and they have moved inland. I am very concerned about the issuing licences to kill buzzards to protect a non native species (pheasants) which are wreaking havoc on our native wildlife. We are losing our native wildlife at an alarming rate and Britain is one of the most wildlife depleted countries in the world. NE should be working to rid the countryside of pheasants so that our decimated populations of native reptiles and invertebrates can begin to recover. As people who are passionate about nature we put our faith in NE as the statutory nature conservation organisation to protect it - if NE won’t or can’t who will?